'Firstline workers' who staff service counters and support lines could get these PCs. Windows 10 S is no longer just for education. On Monday at its Ignite conference for corporate partners, Microsoft unveiled four new Windows 10 S laptops from Acer, HP, and Lenovo, together with a new shorthand for the services they'll provide: Microsoft 365. 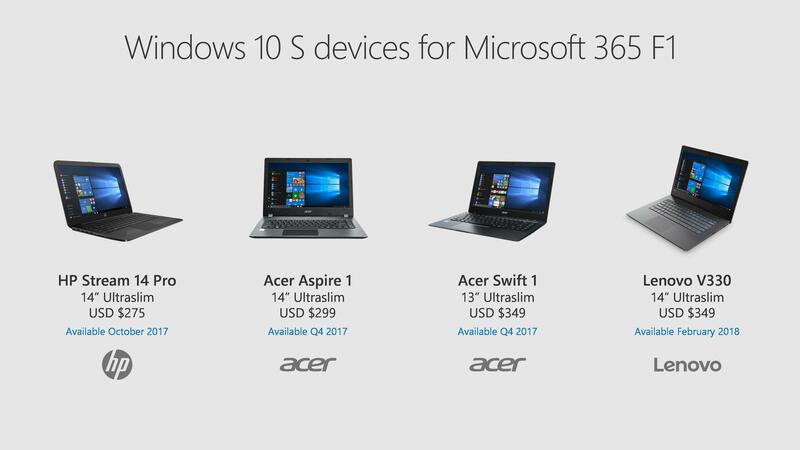 The new Windows 10 S machines will be sold to such customers later this year, and all cost less than $350. They're part of the cadre of low-cost Windows 10 S devices that Microsoft showed off at the introduction of Windows 10 S last year. Contrary to that event's educational bent, however, these machines are being positioned as business PCs for what Microsoft terms "firstline workers" but might better be known as "front-line" workers—the staff you meet on support lines or at service counters, who interface with the public. As for Microsoft 365, this is a suite that used to be just for business PCs, but is now being sold to educational customers as well. In the education space, it includes Office 365 for Education, Windows 10, Minecraft: Education Edition, and a device management service known as Enterprise Mobility + Security. Microsoft hasn't released pricing for the service, encouraging potential customers to get it in touch with sales agents instead. The new Windows 10 S PCs are due by this holiday, with the exception of the Lenovo V330. Unfortunately, none of the hardware makers shared additional details of the new devices. We just know the prices and some of the basic configurations, as they've been adapted from previously announced PCs. 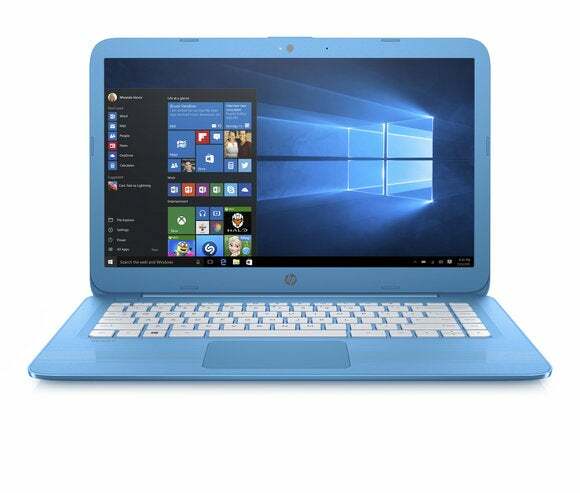 One example is the new HP Stream 14 Pro, which appears to have been adapted from the 14-inch Stream HP announced earlier this year. One of the new features they'll be available with, according to Microsoft, is Windows Autopilot, a new business-oriented feature that will ship as part of the Windows 10 Fall Creators Update. Instead of forcing an IT admin to create an image and associated hardware drivers for a new PC, they can provide a standard configuration, together with approved apps, that the user can install with the click of a button. The story behind the story: In some ways, Windows 10 S machines are already a bit of a bust, releasing too late in time to ship to students in time for the fall semester. It makes sense, then, to try and reposition them for the business world, including the crop of recent grads who will be filling those frontline (not firstline!) positions.